'Tis the season when birds spiff up their wardrobes! It's spring! And for many birds, a time to look their best to attract a new mate. 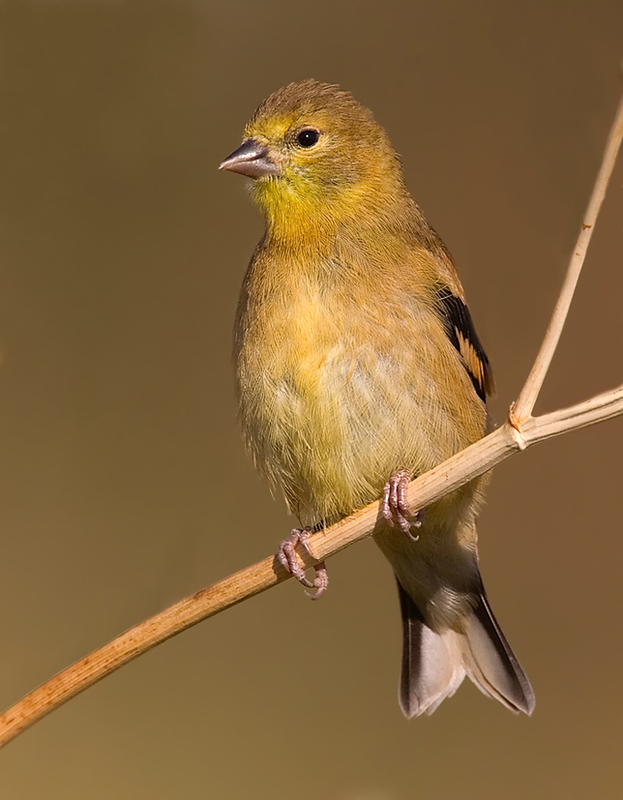 This American Goldfinch has recently molted. Its old, worn-down feathers have fallen out, and new ones have grown in. 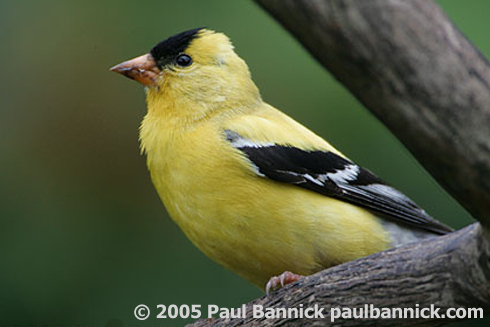 When goldfinches molt in the fall, they lose these brightly colored feathers. Their winter camouflage helps them blend in with the drab background of the season. We hope you'll consider making a gift to BirdNote this spring. Thank you. It’s spring! And for many birds, a time to look their best to attract a new mate. 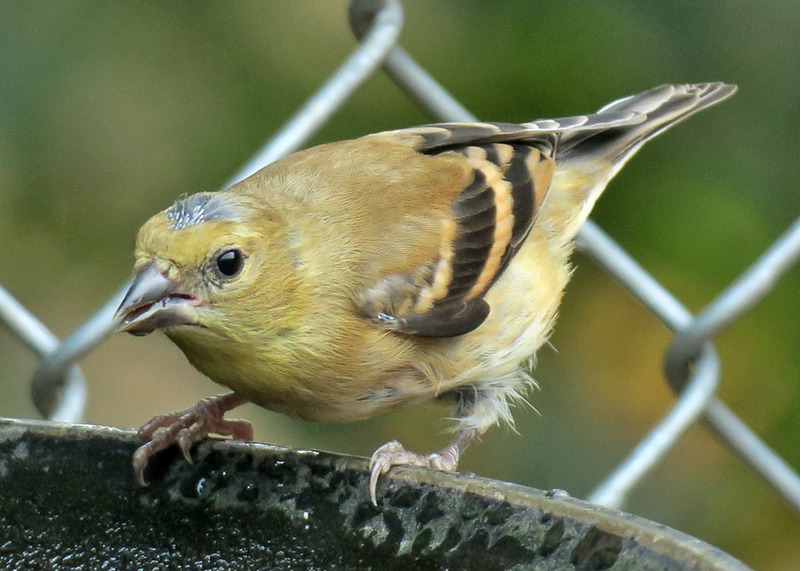 This American Goldfinch has recently molted. Its old, worn-down feathers have fallen out, and new ones have grown in. The male is now a vivid yellow, with a striking black back and wings. And the goldfinch isn’t the only bird to make this surprising transition. [Willow Ptarmigan chuckle] The Willow Ptarmigan, a bird of the northern latitudes, is rusty-brown in summer, blending in with the tundra where it nests. In the fall, its plumage changes to winter-white, matching the landscape. [Laughing Gull call] Some gulls, like these Laughing Gulls and also the Bonaparte’s Gull, add dapper black or brown hoods for the breeding season. Summer, fall, winter or spring, we’re glad you listen to BirdNote. I’m Mary McCann. Bird audio provided by the Macaulay Library of Natural Sounds at the Cornell Lab of Ornithology, Ithaca, New York. 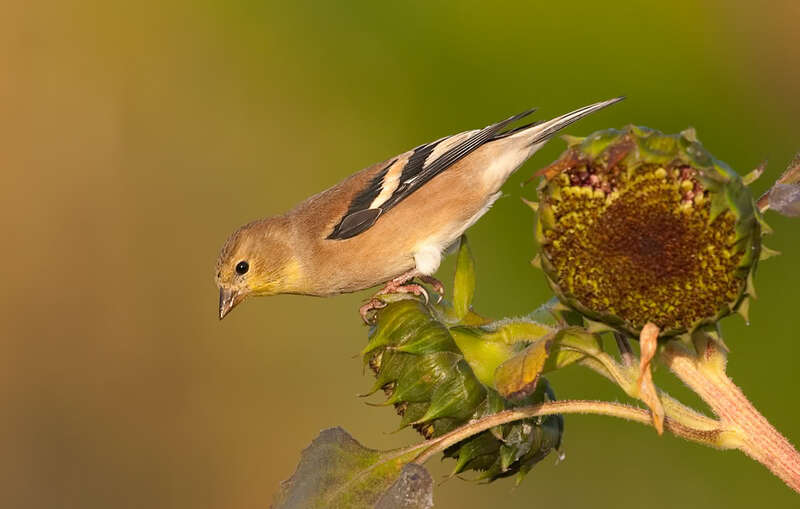 American Goldfinch call recorded by D.A. Sibley and song recorded by G.A. Keller. Willow Ptarmigan call recorded by G.A. Keller. Laughing Gull call recorded by G.F. Budney. Mallard calls recorded by A.A. Allen. Make a gift to BirdNote. Thanks!